T.R.A.C.K. 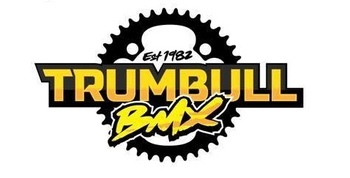 Trumbull BMX is a non-profit sports organization, located at beautiful Indian Ledge Park in Trumbull, CT, that promotes a healthy,active lifestyle through the Olympic sport of Bicycle Motocross (BMX) Racing. From May through December, members of all ages and abilities, ride and race their bikes on a specialized dirt race track for fun exercise or exciting competition. As a non- profit program run and maintained by dedicated volunteer families since 1982, we strive to keep our sports program affordable for all families, while providing the best possible BMX facility, and racing experience in the Northeast. the track, multiple mentions at race events, loaner equipment sporting your company's logo, a banner link on our website, and posts on social media throughout the 2018 season. We enjoy high membership numbers at the Trumbull BMX track and expect our race community to grow in 2018. With planned upgrades to the race track this spring, and the scheduling of a highly anticipated, prestigious and well-attended USABMX National Race event on June 22-24th, we are confident that your business will get the exposure its looking for, while supporting this worthy Trumbull BMX community cause. projects, such as: funding a discounted 'learn to ride' program, upgrades our loaner bikes and helmets, renovations to aging property structures, upgrades in outdoor field lighting, new audio equipment, repaving the asphalt turn sections of the race track, and installation of a new, safer, 'barrel' starting gate. Many of these projects are expensive and we hope to fund as many as we can in 2018 with your help. We would love for YOUR BUSINESS to be a special part Trumbull BMX's highly anticipated 2018 season. Please contact Chris Gombos at 203-257-4988 or e- mail: cgombos1@me.com with any questions. Thank You!